The film « La La Land », winner of 178 awards including 7 Golden Globes, 3 baftas and 6 Oscars, honored the Caveau de la Huchette as its Parisian jazz club of preference. 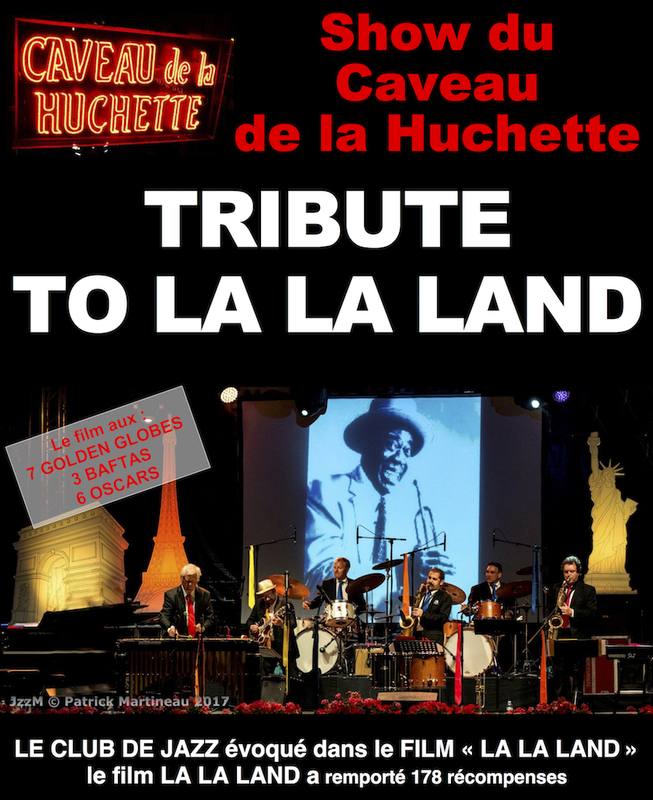 So in return, The Caveau de la Huchette has put together the show a “Tribute to La La Land”: a celebration of the great legends of jazz performed by the Caveau’s talented troupe of musicians, singers and dancers. Click the information button above for ticket information.